This week our task was to create a collage of what we did at camp. We added photos of what we did each day. On day one we went hiking. I didn't find it fun because I was so tired. On day two it was our first rotation task and I started off, by doing archery then our next task was kayaking and it was fun it was my favorite task that whole day. Then we did Raft building. It was amazing and hopefully we can do it again. On day three I did high ropes and I was so scared when I got on the beam, but I managed to do it. I was proud of my self. We did two more activities, which were really fun, then we did pancake race in our groups, which was fun and yummy. Then we did our camp concert it was the best night that we spent at camp. I was in the baby shark group. We did the the baby shark and it was fun and funny. The next day we got to choose what to put in our sandwich for lunch. After we packed our stuff we got on the bus and went swimming. It was fun, because we had lunch there and our sandwiches were yum. Then we went to school and waited for our parents to pick us up and my mum was happy to see me. 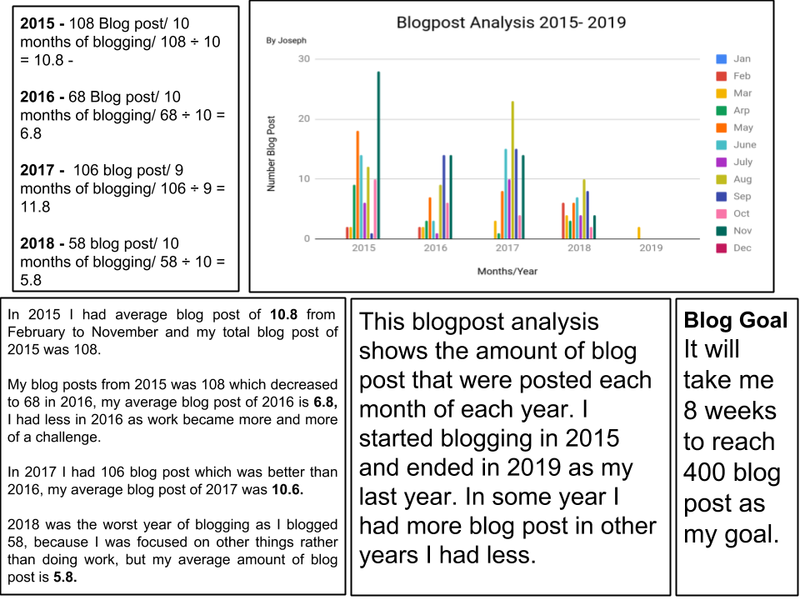 As part of our goal setting for 2019 we have been analysing the number of times we have posted on our blogs. 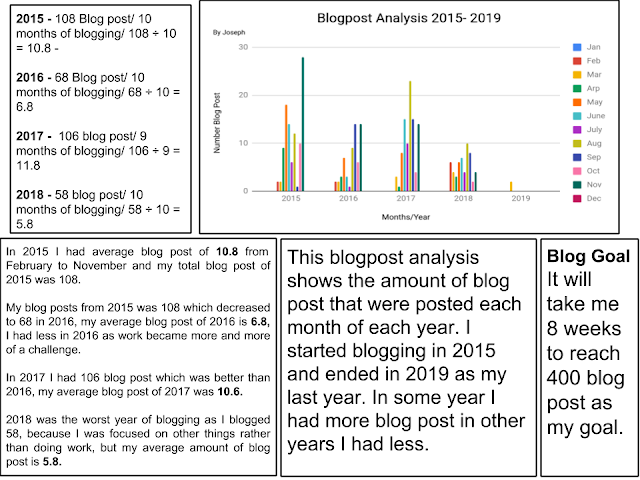 My data shows the number of the blog post I made each month since 2015. To help us set goals we worked out the averages for our blog posts each year so we could see if we were going to reach our targets. I have set a goal of having 200 blog posts this year. 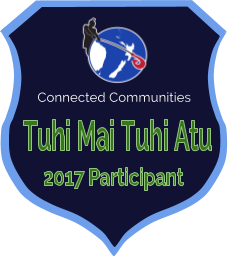 This week for tech at Tamaki college everybody in wood work was either finished or up to using the mallet and the chisel. I was still cutting the two sides, so we can use the chisel and the mallet. I finished the part with the chisel and mallet, If you are right hand you hold the chisel in your left and the mallet in your right. And if you are left handed the mallet goes in your left hand and the chisel goes in the right hand. This Week in Writing Sandra, Miiana, Fui and I worked collaboratively together to create a 50 word summary and a idea list. 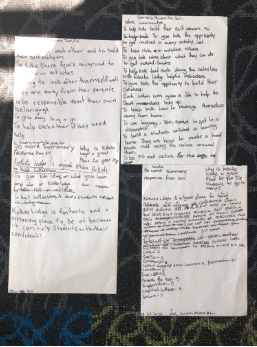 Together in our group of 4 we created a screencastify explaining our ideas about why Kokako Lodge is a great place for year 7/8 students to go to camp. This gives kids the opportunity to get involved in each activity. Our ideas helped us create a digital version of our response to Siri. We listed all of our ideas down on pieces of sheet. So we collaboratively combined all of our ideas into a video. Today we had our week 7 session of tech. Our focus this term is metal work. What we are creating in tech is either a pizza cutter (Which is what I'm creating) or a cake server. So far, I am up to finishing the handle for my pizza cutter . What I am doing to my handle is making it more smooth and getting the mark of it , and sanding it with rough grit sandpaper. I am having a lot of fun in tech, and when I finish on my pizza handle I will have to work on the cutter part. This term, our focus for inquiry is DARE. It is a program that allows children to learn the dangers, and consequences of drug and alcohol use. Yesterday, Constable Cyrus came into our class to give us extra information about the use of them. We want to give a big thanks to Constable Cyrus for going out of his way to help us. This week, our challenge to alert others about these dangers was to create a DLO that showed what could potentially happen as a result of using drugs or alcohol. For this task, I worked with Alex and Jack, and we created a poster warning people about the dangers of drunk driving. 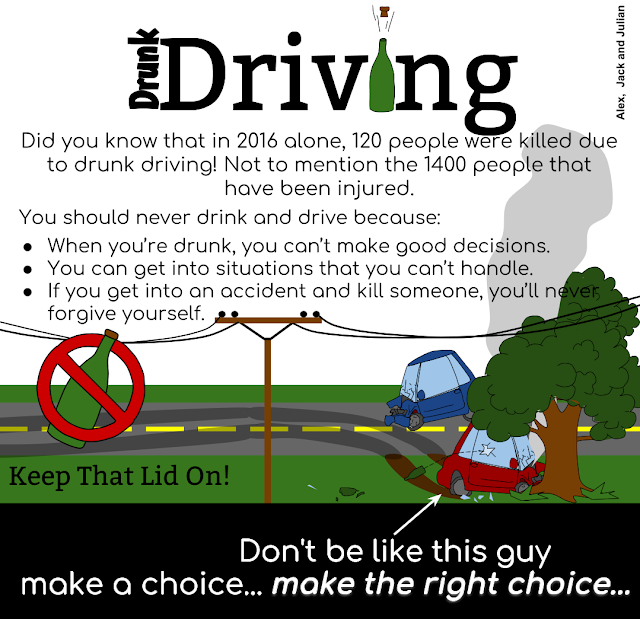 On our DLO's we needed a strong message that would persuade people to think twice about driving drunk or using drugs. Our message was "Don't be like this guy, make a choice... Make the right choice..." We thought this was a strong message, and would work well. L.I: To recount and explore the learning and experiences from our year 7/8 camp. 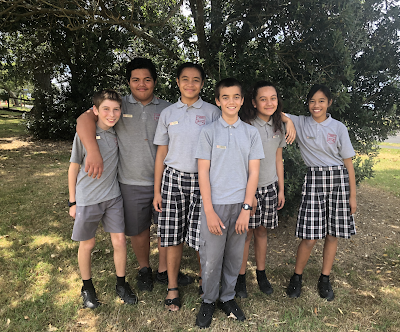 Last week the year 7's and 8's had their camp at Kokako Lodge, and this week we are doing activities based around the environment and our experience there. This first activity showcases an info graphic about the Kokako bird, which is what the place was named after. We had to include information like Diet, Habitat, Appearance, and Predators. I also included 2 facts about the general bird. This week at assembly I was given a very well earned badge. My badge I earned is the respect badge. To get a respect badge I completed all 5 activities put in the Care award booklet. 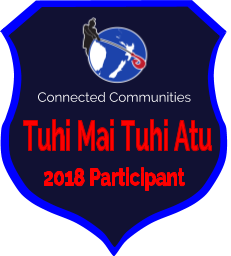 As I completed my respect badge I learnt how to be respectful even when I know a person is in the wrong place, and I also learnt how to respect others, by not talking when they are talking, and by using integrity everywhere I go. For another awesome day of tech we did wood work with Mr. Grundy. We started on cutting our wood and the joints with the backed saw and the wood chisel to finish off our designs. I had already cut my wood and one of my joints for my chest of draws. Since my wood wasn't straight, I used help from Mr. Grundy. He used a machine to make my wood straight. If our joints didn't fit in, than we could use the sand paper to make it fit. I was really happy that my joint and other piece of wood fit together. I enjoyed my day of wood work with Mr. Grundy. Today Me and Jayden made a slide and a video about Kokako Lodge. This video and slide includes Siri and Kokako Lodge. 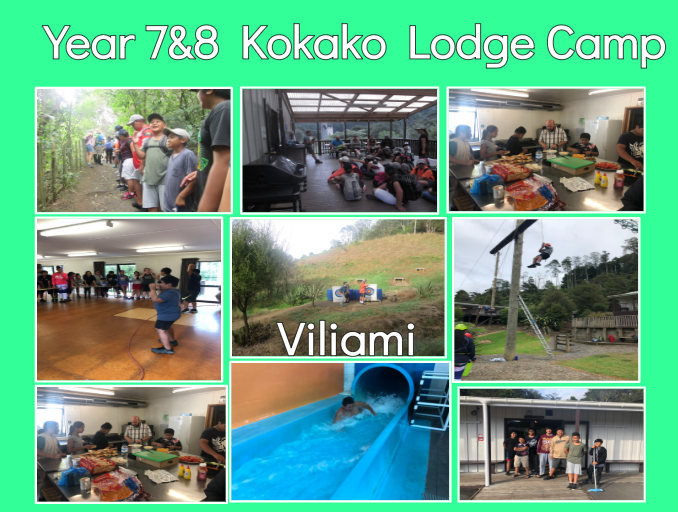 Mrs Anderson went on her phone and asked Siri "Why is Kokako Lodge a good place for a year 7 & 8"? So whe gave us a challenge which was to make a video and a slide about what Siri would say in exactly 50 words. Me and Jayden came up with: Kokako Lodge is a fantastic place for a year 7 and 8 camp because they have lots of fun activities that are also safe. You can learn something new and overcome fears while you are doing an activity. Kokako also has a stunning view (trees, and a waterfall). We also can get points for every thing that is on the board. 50 words was 50 points plus the extras which were worth 5, 2.5 and 1 point(s) (Exclamation mark, Working together and lots more). Me and Jayden had 79 points out of 100+. On Wednesday we played a game called 2 words 1 minute. In this game there are two words and you have to make sentences using those two words in 1 minute. After we had one game we made a DLO were we to explain how to stretch sentences with the 5 w's and the H, to make a better sentence and add more detail. 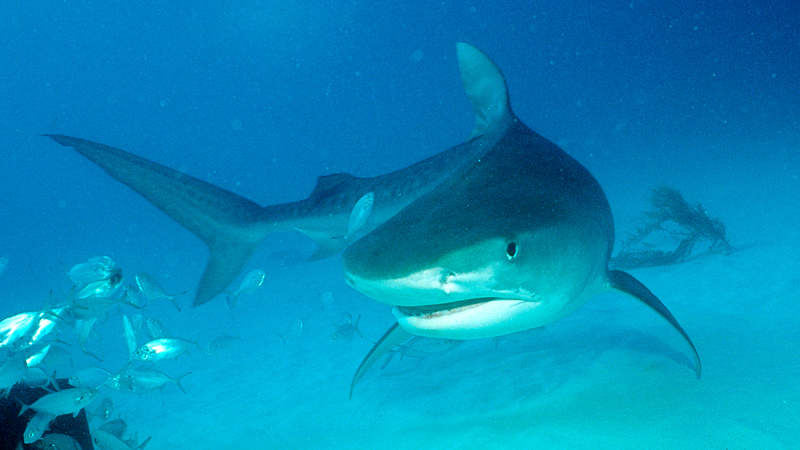 Sharks are carnivores, that means they only eat meat like sea lions, dolphins or smaller sea creatures like crabs. 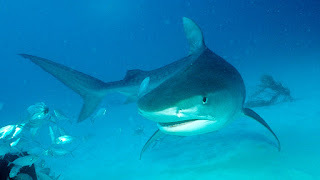 It is true that sharks have attacked humans but not many people know that only 12 species of sharks have ever done this. A baby shark is called a pup and a group of sharks are known as shivers, shoals or schools. You can find sharks in every ocean but they won’t be staying still because they have to keep the water moving over their gills to stay alive. For Maths we made a graph about how many blog posts we had over the years. For the first year I had my device it wasn't easy but I managed to make a few blog posts and then I got better at it over the years as I got more confident with my blogging. My goal is to have at least 500 posts by the end of this year. To achieve that goal I have to blog about 30.4 posts a month which means 7.6 posts a week to achieve it. For maths this morning we created a combination lock challenge using maths language to give clues to help solve the problem. We were learning to problem solve to find solutions by choosing the best strategy. It was fun but a bit hard because we had to think about the order that we did the clues in.